An invaluable tool in the field, the Alpha 100 helps you achieve optimum performance from your sporting dogs. 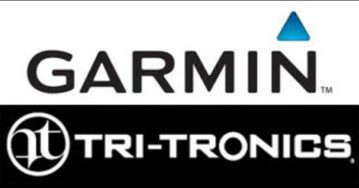 It combines proven Garmin GPS dog tracking with Tri-Tronics® electronic dog training technology. This easy-to-use integrated handheld system allows you to track and train your dogs in the field at a range of up to 9 mi away, delivering their exact position as often as every 2.5 seconds. 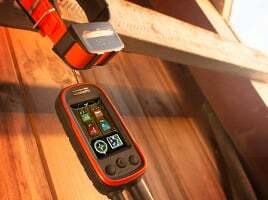 With multiple Alpha 100 handhelds and TT™ 15 dog devices, pinpoint up to 20 dogs or hunters’ exact positions on a large, glove-friendly touchscreen display even when they are out of sight. Because Alpha 100 comes preloaded with TOPO U.S. 100K maps, you’ll always know your surroundings. Measure each dog’s speed, distance and the direction being traveled. Plus, receive notifications when a dog is “Treed” or “On Point.” A single Alpha 100 can track up to 20 dogs or fellow hunters when using either additional Alpha 100 handhelds or TT 15 devices (each sold separately). 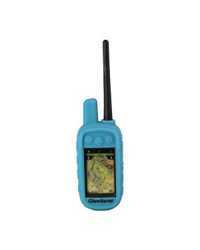 Or, choose tracking only with the new T 5 dog device. 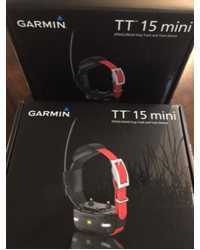 For competitions that don’t allow stimulation, tone or vibe, the compatible T 5 tracking device is an excellent alternative. Your free 1-year subscription to BirdsEye Satellite Imagery allows you to have a better-than-real-life view of terrain, including roads, water, woods and more. When using the TT 15, switch to Rescue Mode to prolong the battery life. When the TT 15 reaches approximately 25 percent battery life, it will automatically slow down the update rate at which it pings Alpha 100 from every 2.5 seconds to every 2 minutes. 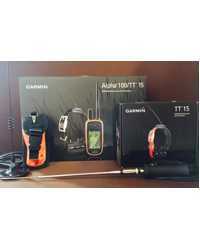 This mode conserves the battery life of the TT 15, giving you more time to search for and locate your dog. Take charge of your next adventure with BaseCamp, software that lets you view and organize maps, waypoints, routes, and tracks. This free trip-planning software even allows you to create Garmin Adventures that you can share with friends, family or fellow explorers. BaseCamp displays topographic map data in 2-D or 3-D on your computer screen, including contour lines and elevation profiles. It also can transfer an unlimited amount of satellite images to your device when paired with a BirdsEye Satellite Imagery subscription. Load your laptop with BaseStation software to turn it into a field control center for tracking multiple dogs and/or buddies (up to 20 Alpha units or TT 15 dog devices). 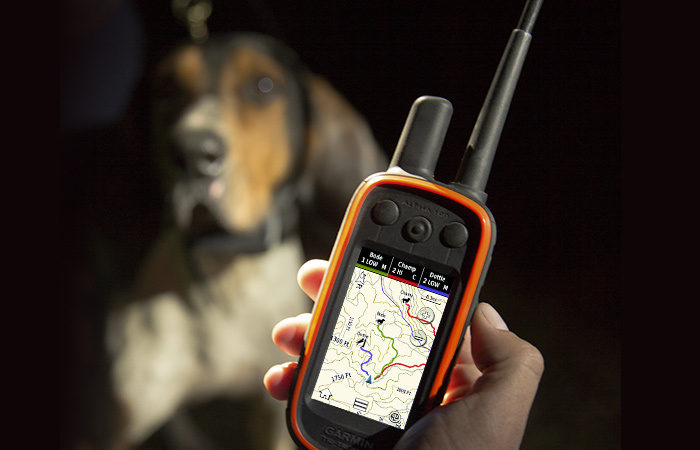 View real-time GPS information on the larger display of your computer, making it ideal for canine search and rescue teams. And because it’s GPS/GLONASS, you'll get safe, secure and more effective tracking, even where Internet and cell phone service isn’t available.